Put raspberries and sugar in a small pot over medium-low heat. Cook raspberries until they fall apart. Mash any whole raspberries with a fork. Strain out seeds with a medium-mesh sieve. 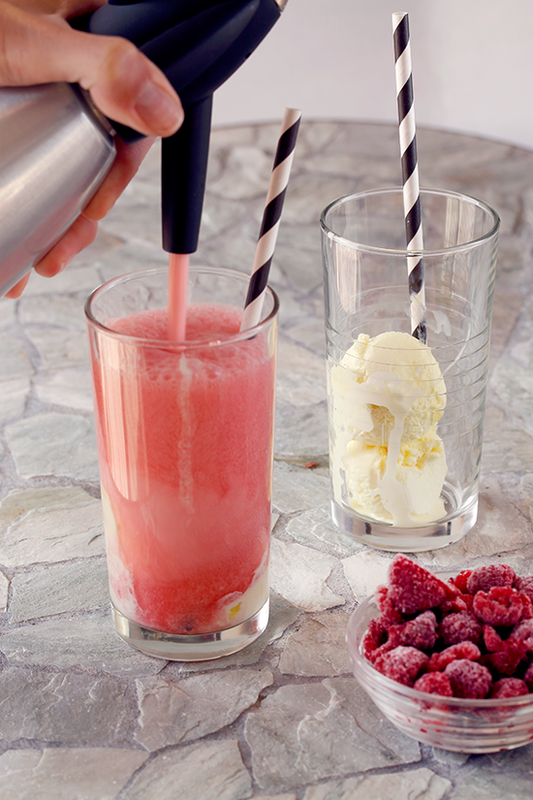 Let raspberry puree cool to room temperature. Carbonate in a siphon - dilute raspberry puree to a total volume of 1 liter. 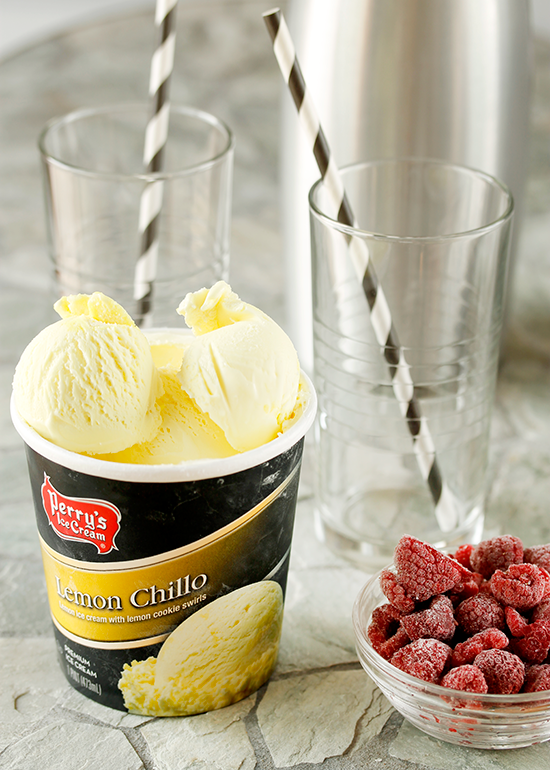 Pour into siphon and place in the fridge to cool. Carbonate according to your siphons directions. 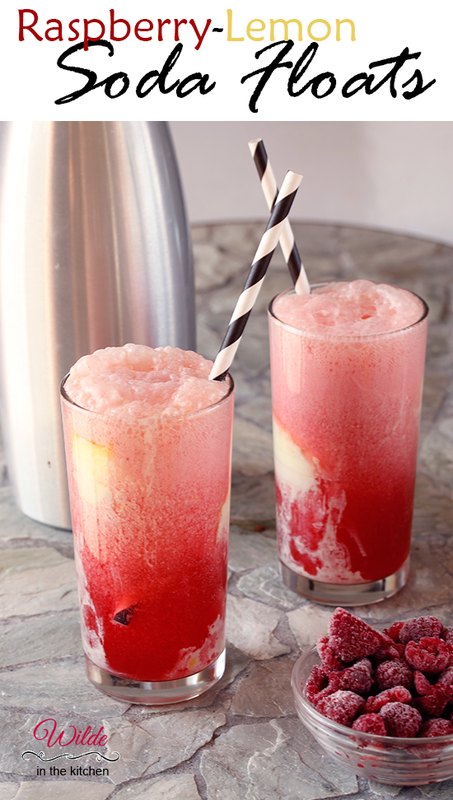 Carbonate with seltzer - Add 2-3 tablerspoons of puree to an 8-ounce glass, fill with plain seltzer. Top with lemon ice cream.